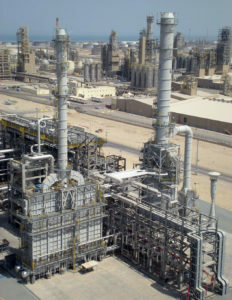 Oil refineries transform crude oil into a wide range of products such as gasoline, kerosene, diesel, etc. They are industrial complexes with several process units, each one with is particularities concerning location, economical aspects and feedstock. In common for all the production facilities is that the heater is the heart of the unit. Heurtey Petrochem Solutions is a world leader provider for refining heaters, with a long-standing history with the most reputable operators and technology licensors for refining applications in all five continents. In terms of refinery applications, Heurtey Petrochem Solutions provides a comprehensive range of refining furnaces for the following technologies and services and can be the best partner for the design, supply and erection. Each furnace is unique and tailor-made by Heurtey Petrochem Solutions’ teams. The thermal and process design is performed specifically according to clients’ specifications with in-house applications retro-fed with more than 60 years of experience worldwide. 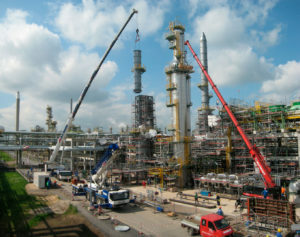 Heurtey Petrochem Solutions is unique in being capable of designing, procure, fabricate all types of refinery heaters, with a large experience also in modularization, operation and specific country regulations. With more than 2 000 heaters designed and erected, Heurtey Petrochem Solutions is the best partner to supply the heaters that will be the heart of your production facility.